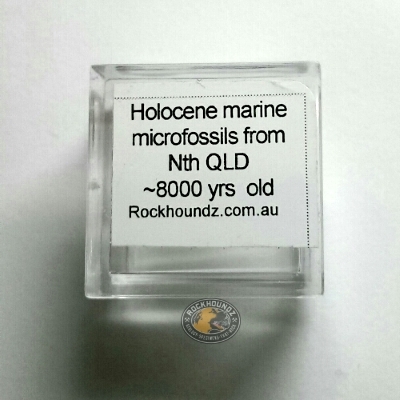 Holocene marine microfossils from North Queensland. Approx 8000 years old. Presented in magnifying box. 5 specimens per box. Photo is representative only. Species will vary from box to box.